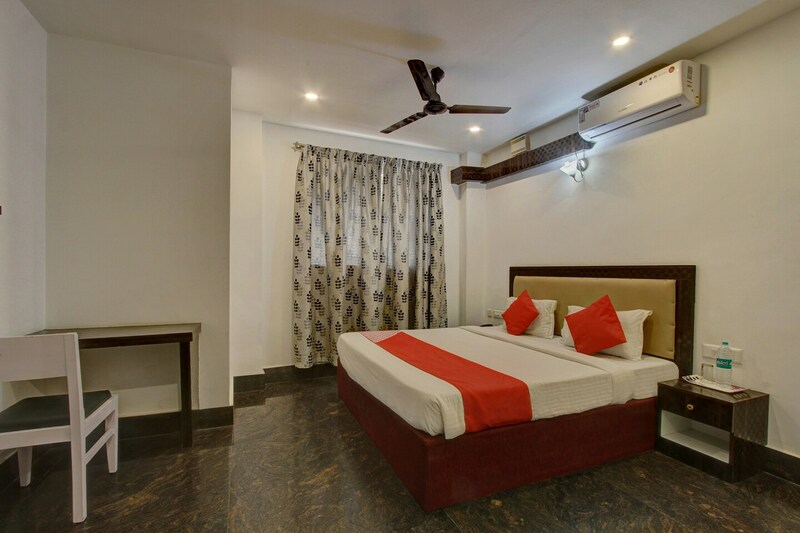 Located in the heart of Bangalore, OYO 10530 Sanctum Manor offers a simple say option with premium services. The rooms are bright and vibrant with minimalist wall decor. Provision of various basic amenities and comfortable wooden furniture make for a relaxing stay after a busy and tiring day. Bathrooms are also well-equipped with basic necessities. CCTV cameras are installed across the premises for the safety and security of your stay. Free Wi-Fi service can be used to stay connected with work as well as entertainment. Various malls and restaurants are located near the hotel for guests to enjoy meals or shopping.